Time, effort and hard work of Malaysia’s finest agency professionals have produced the best campaigns and ideas in the industry. So we created videos that will allow us to relive the night that celebrated Malaysia’s best players from event production to media marketing. Here’s a snapshot of our winners. FCB Group Malaysia was crowned Overall Agency of the Year in addition to bagging the Overall Creative Idea MARKie Award and ten other awards in both section of Advertising + Marketing‘s Agency of the Year. Runner-up Entropia nabbed the Overall Media Usage MARKie Award after sweeping 4 Gold, 2 Silver and 1 Bronze. For more details of the list of winners, click here. Advertising + Marketing’s Agency of the Year Awards has given agencies the best platform to showcase themselves in the running for the top spot in various categories, as well as the highly sought-after Overall Agency of the Year title. Touted as the only awards show judged by over 20 high-calibre client-side marketers based in Malaysia, Advertising + Marketing magazine’s Agency of the Year Awards is no doubt the industry’s benchmark of top class agencies in multiple disciplines. Congratulations to all winners and finalists and thank you for the amazing night, and we hope to see you at the tenth anniversary of Advertising + Marketing’s Agency of the Year next year! 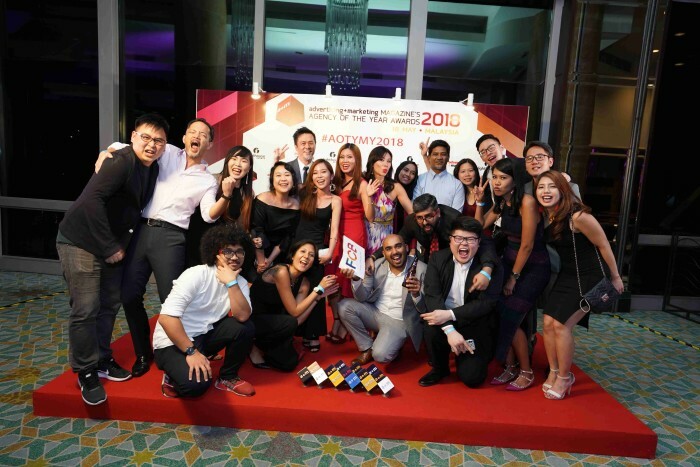 Advertising + Marketing’s Agency of the Year Awards Malaysia 2018 was held on 18 May 2018 at the Mandarin Oriental Kuala Lumpur and was sponsored by our sponsors JAG Ideas, Integral Ad Science (IAS) and MediaSpokes.